This occurs when the tongue and soft palate tissues of the airway collapse onto the back of the throat, causing air flow to decrease. In sleep apnea, your breathing stops or gets very shallow while you are sleeping. Apnea events can last 10-20 seconds. These pauses or events can occur 23 to 30, up to 75 times and hour. 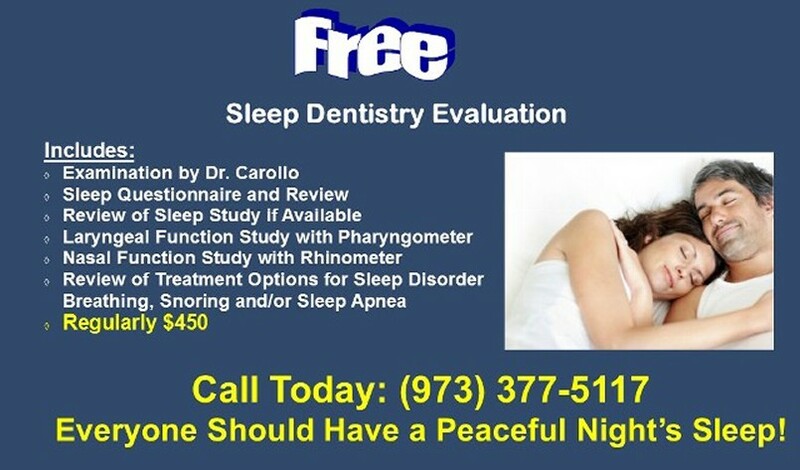 Sleep Apnea and Snoring are overlooked and left untreated. Sleep Apnea can lead to other serious medical conditions like stroke, heart attack and other medical problems. 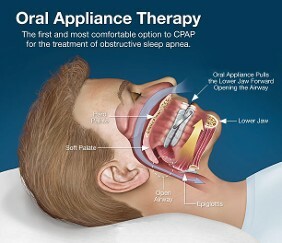 A CPAP Machine, or Constant Positive Airway Pressure, can help in all cases of Obstructive Sleep Apnea. It is the Stand for Severe Sleep Apnea. 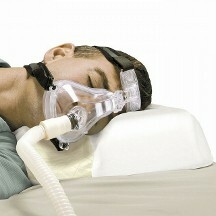 While a CPAP is an extremely effective device, many patients cannot tolerate it and subsequently stop using it. 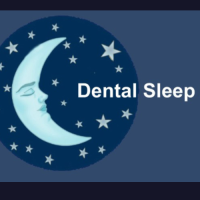 A Dental Oral Appliance can be used in Mild and Moderate Obstructive Sleep Apnea. 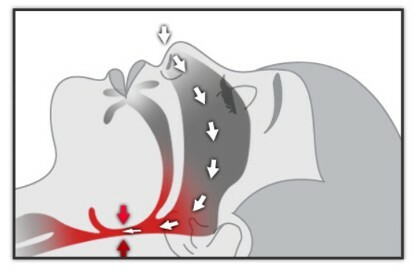 (An example of a Dental Oral Appliance opening an airway is show above with in blue). This video shows a how an oral appliance can help with OSA, the appliance Dr. Carollo uses is slight different than this oral appliance. The Oral Device Dr. Carollo uses is unlike other appliances. Most Oral Appliances are made out of a thermoformed material like acrylic. These appliance tend to discolor, wear and can fracture over time. Dr. Carollo uses a new polymer material and the appliance is made from a 3D Printer, a CAD/CAM Process. CAD/CAM is Computer Assisted Design and Computer Assisted Manufacturing. This appliance also has a five year warranty.